The Maharajas’ Express is classed as the most luxurious tourist train in the whole of India and even been described as the ‘Eastern Orient Express’, which provides a hint of its elegance and magnificence as well the esteem in which the Express is held. Offering 5 fascinating journeys crisscrossing some of the most vibrant destinations, significant attractions and breathtaking landscapes, of culture and heritage with which India is blessed. Maharajas’ Express offers journeys deep into the soul of India in sheer opulence and unrivalled access to the stunning region of Rajasthan. Rajasthan, famed for its rich in history, invariably provides visitors with a warm welcome. The region never fails to amaze and enchant visitors with its vibrant and stunning architecture, its sandy hills, luscious green gardens and gleaming crystal lakes. Aboard the Maharajas’ Express however, the majestic area of Rajasthan has so much more to offer the affluent traveller. Climb aboard for an unrivalled view of stunning countryside as you travel in comfort from the Thar Desert to the amazing Indus Valley archaeological ruins at Kalibanga. Rajasthan is also world famous for its desert forts, and not to be missed are the incredible palaces found within the region, in particular the Lake Palace in Udaipur, the ‘City of Lakes’, which has even been christened the ‘Venice of the East’. 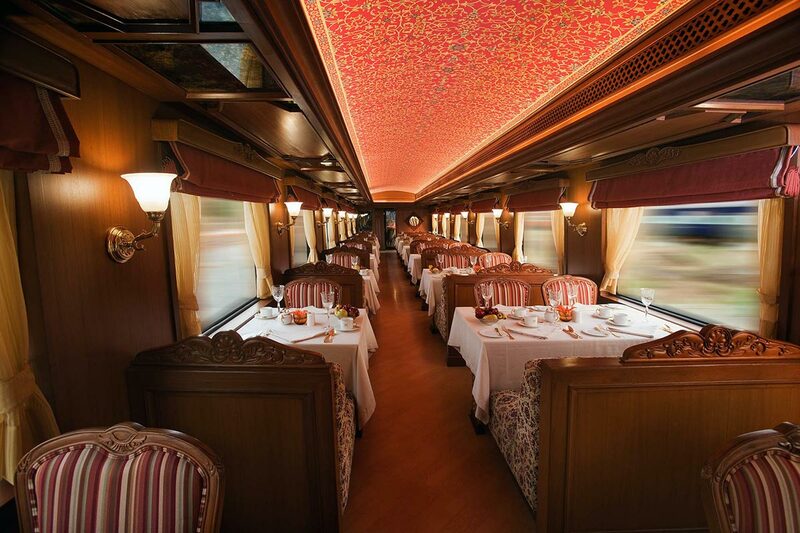 The Maharajas’ Express has been designed to provide its guests with an experience far beyond first class. Simply put, the Express is incontestably the most luxurious train on the planet. Indian culture, architecture and wildlife all form an integral part of this truly authentic experience, which partners amazing sightseeing with personalised comfort. Days can be spent visiting the Ranthambhore Tiger Reserve, the Buddhist frescoes at the Ajanta Caves or enjoying an elephant polo match in Jaipur. On the other-hand you may prefer to an exclusive Champagne breakfast whilst viewing the Taj Mahal, either way you’ll be seeing the marvels of both modern and ancient India from a perspective and level of exclusivity that few ever will, ensuring remarkable memories. Whilst travelling, the Maharajas’ Express never falls short of promising you a royal experience, featuring five carriages for Deluxe Cabins, six for Junior Suites, two for Suites and one for the grand Presidential Suite. Each and every room has large panoramic windows so that you can savour every magnificent moment India has to offer. Each cabin comes complete with a writing table, a television and climate control with the larger cabins also including a mini bar, internet and living room area. In addition to the opulent accommodation, the Maharajas’ Express boasts two restaurants, the Mayur Mahal and Rang Mahal, each offering a gourmet dining experience with a range of menus to suit everyone’s pallet- authentic Indian and Chinese as well as Continental. 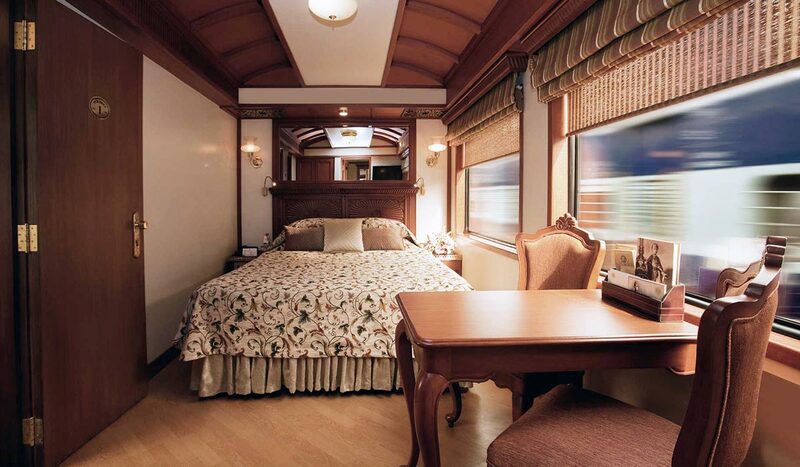 The train has a well-stocked bar, which includes a number of the finest wines and spirits from all over the globe and, to pamper guests even further, there is also the Lounge Saloon, which includes a games tables and a number of snug armchairs in which guests can relax after a day’s sightseeing adventure. The Maharajas’ Express even caters for guests who cannot live without the comfort of retail, for on board is the Treasure Chest Saloon, a high-end boutique where they are able to buy gifts and souvenirs. Another feature bound to impress is the 24 hour butler service, designed to make guests as comfortable as possible and cater to every requirement in order to ensure your Maharaja Express journey is absolutely perfect. Travelling aboard the Maharajas’ Express, you will be forgiven for thinking that you must have been mistaken for royalty, for that’s exactly the ethos adopted by staff. Every single design element of the train has been built with guests in mind, from the very mechanics of the train, which allows a smoother motion on the tracks, to the multilingual talents of the exceptional Maharajas’ Express crew. 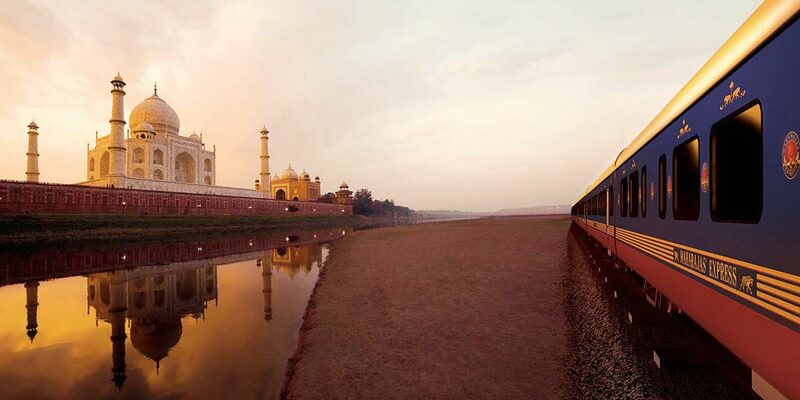 Travelling on the Maharajas’ Express will fill you with feelings of pure nostalgia, transporting you seamlessly from modern to ancient India while you to relax in elegance and luxury and marvel at this stunning country in all its splendour.